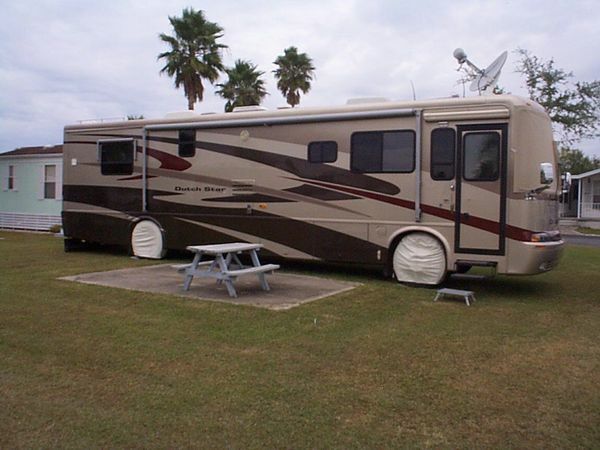 2003 Newmar Dutch Star 3805 DSDP 39.3' Class A Diesel Motorhome, 57,300 Miles Caterpillar 3126 330hp Diesel Engine on Freightliner Chassis with ABS. 2 Slide Outs, 2 heat pumps, Hydraulic Leveling Jacks. Full Body Pecan Paint 585-317-8512 Beautiful solid wood cabinets and corian countertops. No pets, No smokers, very clean. Includes Blue Ox towbar and toad brake. Satellite internet anywhere installed. NO DEF required.